Window Installer Ralston: New Windows For The Win! New Windows For The Win! We love our homes for the protection they offer from the outdoor elements; they should keep us cool in the summer and warm in the winter. But while we love keeping the heat and cold out, we still want to let the light into our homes. Adding windows to your home, or swapping out old, small windows for something larger, is always a great idea and can add light and value to your home. If your windows are not performing well anymore, you could be losing valuable energy literally “right out the window”. If you have lived with dark, dreary rooms for a while, or you are buying a new home that doesn’t have enough light, new windows can be the answer. Read on to find out how much of an impact windows can have on your home! Obviously, windows bring in the light. There is a great scene in the Little House on the Prairie books where Pa travels miles on horseback carefully guarding a pane of glass to bring back to his wife. The sheer joy she has in being able to finally let some light into their dark house is evidence that windows really do make homes not only brighter, but more enjoyable to be in. If you have a dark kitchen, you may not spend as much time cooking and baking because the space is not enjoyable. A dark living room can seem gloomy, and a too-dark bedroom can keep you from waking up in the morning. Adding windows to any of these rooms to increase the light can really help give your home a more airy, cheerful vibe! Energy loss is the most prominent around inefficient doors and windows, and if your windows are letting energy escape, you are also losing money! New windows can solve the problems you may have with energy loss, drafts, ice forming on windows, and heat coming in your home. Losing energy in your home means you are losing money, and investing in new windows can lead to years of savings. Your home will be more comfortable too, with drafts eliminated and sunny windows pleasant to sit by again. Energy use can be lowered in bright rooms that don’t need lights on all the time. Reduce your heating and cooling bills with windows that are functioning at peak performance; if your windows have reached the end of their lifespan, new windows are the answer! When you get new windows, your whole home will seem newer and cleaner, with the sparkly new glass and the clean, new trim. If you are looking to not just spruce up your home, but change the design as well, windows can help with this as well. 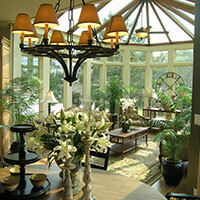 Adding in a special window, such as a bay window, can create new design and focus in a room. Stained glass windows add beauty and character to an otherwise plain room. Adding a whole wall of windows where there was just one can drastically impact the look and feel of a room; not only changing the design, but adding light to a dark space. Windows can change the look of the outside of your home as well, and larger windows, more windows, or unique windows can transform and beautify your exterior. If you are looking for a way to create unique architectural details in your home, new windows are a great way to bring in design and character. Everyone loves the light and beauty that windows bring to a home, and if you are looking to sell your home, or increase the value for the future, new windows will definitely help. If your home is light and bright it will be a selling point that can draw buyers in. Your home will show better if it is flooded with light, and any other great details in your house will be enhanced through the natural light streaming in. The energy efficiency that new windows bring will also be a selling point for your home, as buyers want a house that is move in ready, and comfortable in all seasons. The exterior of your home will also benefit from the cosmetic upgrades windows bring, and potential buyers will see from the street how great your home looks. 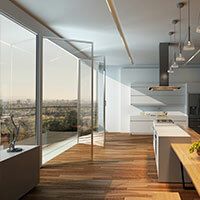 More windows equal more value in your home! 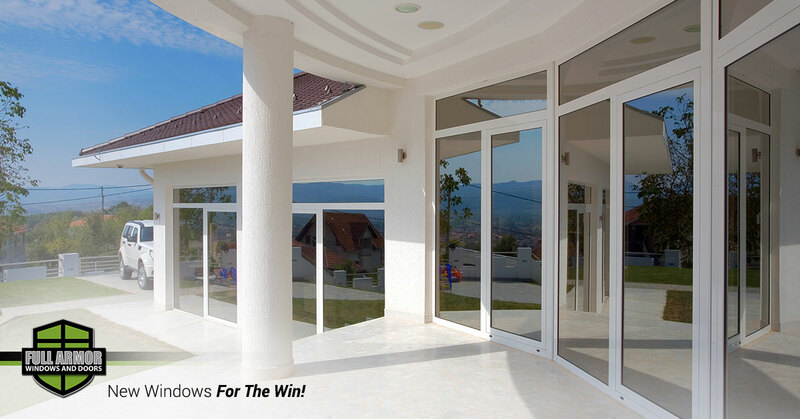 New windows always are a good thing, whether you are looking to sell your home, or improve the home you already love. New windows bring in light, add design interest, and increase the energy efficiency of your home, helping you save money! If you are looking to add or replace windows in your home, Full Armor Windows and Doors are window installers in Ralston that can help! We want to help you love your home, and our experienced and professional window installers will help you bring light into any room in your home. Don’t live with dark rooms, drafts and windows that aren’t efficient; contact us today to get started on new windows for your home!